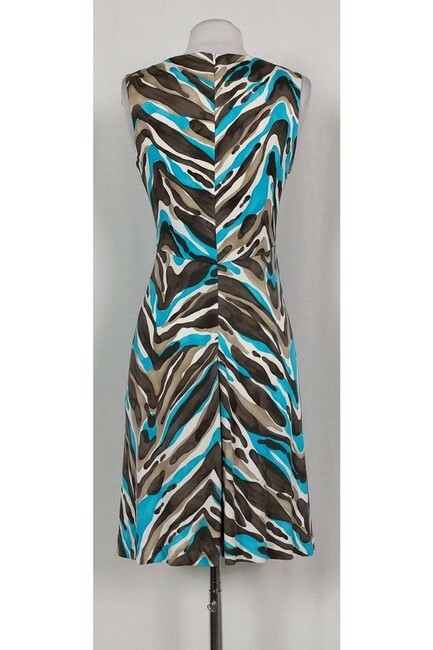 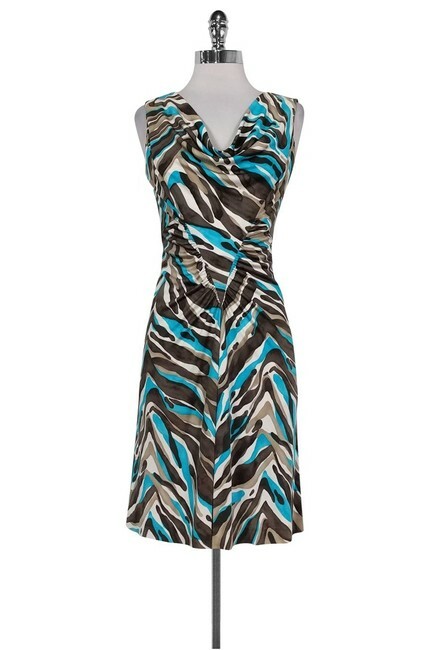 Stunning printed dress in white, brown and blue hues. 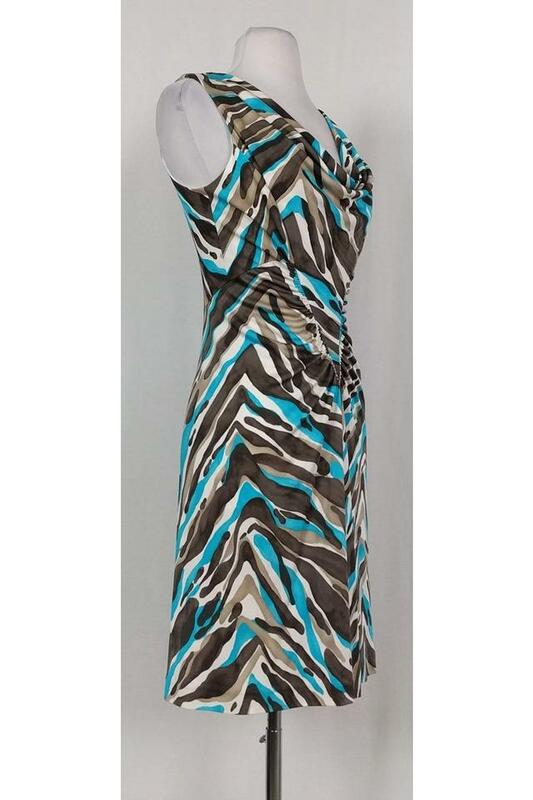 A cowl neckline and gathered detail at the waist add a unique touch to this casual dress. Great to wear to the beach with sandals.